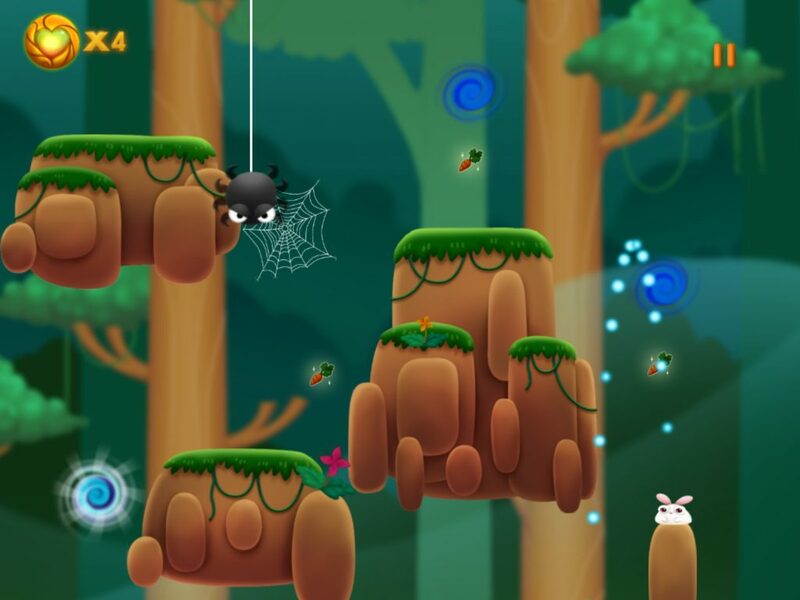 BunnyEscape 2 is a charming little action puzzle game developed by T-Rab Studio that has surprisingly interesting gameplay hidden behind its cute exterior. In BunnyEscape 2 you are tasked with helping a team of little rabbits escape from a series of increasingly complex levels. Each rabbit has a special power, such as the ability to phase through walls or fly for a short duration. 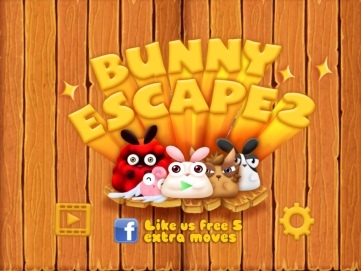 Only one bunny can be active at a time however, so players must select the best rabbit to tackle any given obstacle. The rabbits are controlled by launching them with a specific angle and velocity in a way very similar to Angry Birds, which will make the game feel instantly familiar to most players. 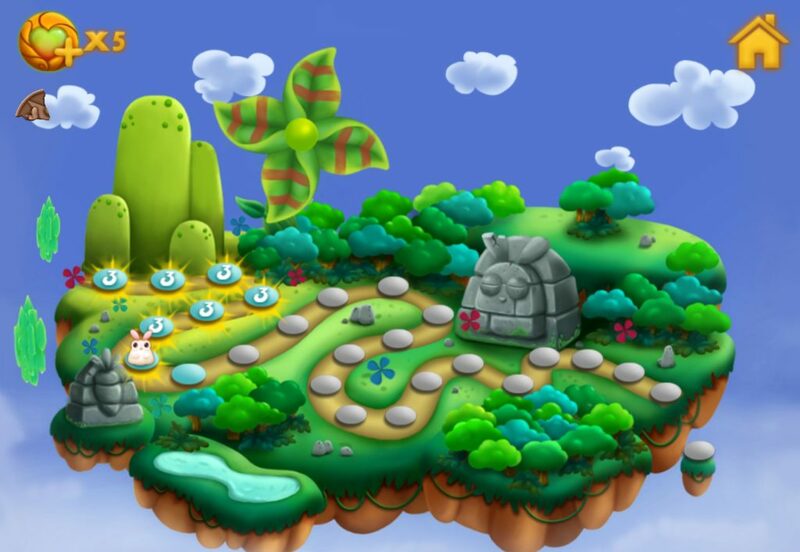 This is especially true because the first couple of levels do a good job of introducing players to the controls as well as the unique skill each rabbit possesses. Though it starts out a bit slow, BunnyEscape 2’s complexity ramps up to an acceptable level near the end of the game, while never becoming so complex that it alienates part of its audience. The progression is smooth, and helps encourage players to explore all the content on offer, of which there is a respectable amount. All of it is free too, there are in-app purchases, but the game is playable from beginning to end without ever feeling like a purchase is necessary. Unfortunately, despite being alarmingly cute, BunnyEscape 2 does falter a bit in its presentation. Spelling mistakes are abundant, and the game looks quite blurry on new higher-resolution apple devices. The music also restarts every time you opt to retry a level, meaning playing with the sound on gets annoying very quickly. Even worse, the framerate is surprisingly unstable considering what’s being displayed here, often chugging significantly even on an iPad Air. 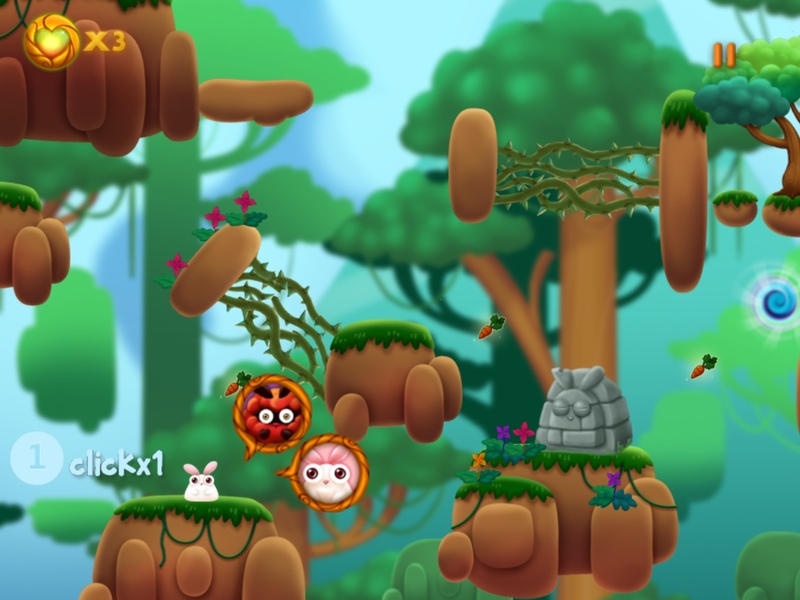 BunnyEscape 2 is charming and fun, offering up a satisfying level of depth and a significant amount of content. If you can get over its lackluster presentation, there’s quite a bit of entertainment to be had here. BunnyEscape 2 requires iOS 5.1 or later. Compatible with iPhone, iPad, and iPod touch. This app is optimized for iPhone 5. Follow Tapscape for the latest iPhone app reviews.